From the moment President Obama signed the Affordable Care Act into law in 2010, a steady and mounting avalanche of misinformation about the law has left a growing majority of Americans confused about what it is, why it’s necessary, and how it works. 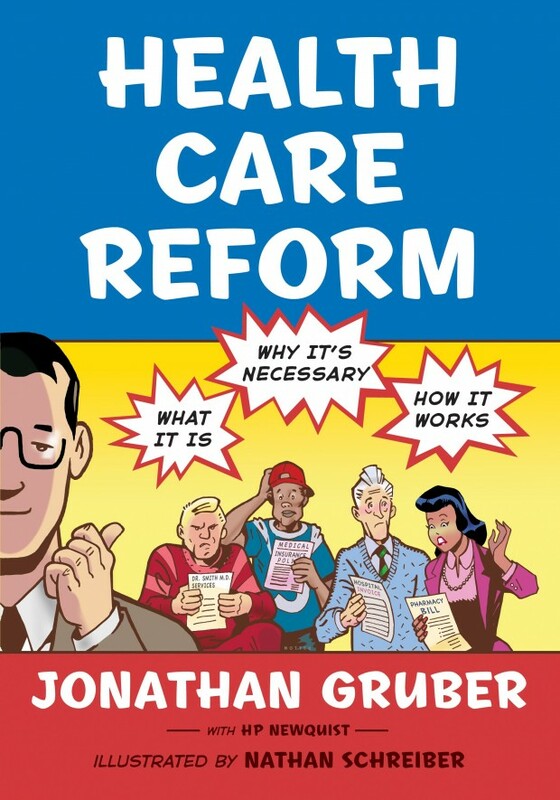 With cartoon illustrations by Nathan Schreiber, Health Care Reform: What It Is, Why It's Necessary, How It Works presents solid information about the impact of the legislation in an easy to digest format. From how to tame the twin threats of rising costs and the increasing number of uninsured to why an insurance mandate is good for your health, Health Care Reform breaks through the noise and dispels false fears. Gruber is a professor of economics at the Massachusetts Institute of Technology and director of the Health Care Program at the National Bureau of Economic Research. He was a key architect of Massachusetts’s ambitious health reform effort and consulted extensively with the Obama administration and Congress during the development of the Affordable Care Act.